Valkyries went down to defeat at Shaftesbury Park where they were unable to turn periods of dominance into more points. 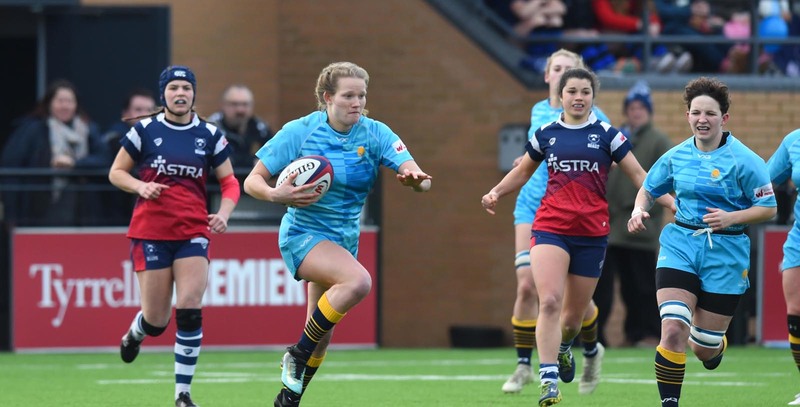 A try from Lauren Leatherland late in the first half gave Valkyries hope but Bristol scored a decisive bonus point try on the stroke of half time. Valkyries began the game strongly, with a good drive into the Bristol half. With momentum on their side, they edged into the hosts’ 22 but Bristol managed to rip the ball and attack. Playing deep in Valkyries territory, pressure paid off when Clara Nelson drove Bristol over the line from a close-range lineout. Valkyries looked to stay competitive but following a yellow card to Sarah Bill for hands in the ruck, the hosts spread the ball to Becky Hughes who finished out wide. Another yellow card followed shortly after, this time for Angharad de Smet. Similarly to before, Bristol used the width created to add another score with Lucy Burgess going over in the corner. Valkyries regained momentum near the half-hour mark to get back into the game, however. Following clean line breaks from Meg Varley and Meg Goddard, Valkyries set up camp in the Bristol 22. After a few phases, the ball was put through the hands and prop Leatherland was found out wide to cross the whitewash. Valkyries threatened to add another score but it was Burgess who got over to extend Bristol’s lead at the break. The home side picked up from where they left off and almost immediately, Esme Bird added their fifth try of the game. Like in the first-half Valkyries battled well in midfield. Time and again they turned the ball over, shutting down Bristol attacks. But these turnovers couldn’t quite materialise into points. Putting their sixth and her second try on the scoreboard was Nelson who dotted down at the back of a maul as she did for the opening try. In the closing stages of the match, Valkyries put together more encouraging passages of play but just weren’t able to penetrate a strong Bristol defence again. 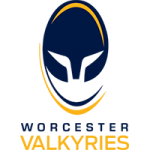 Valkyries next game sees them return to Sixways on Saturday January 26 to welcome Loughborough Lightning (kick-off 2pm).